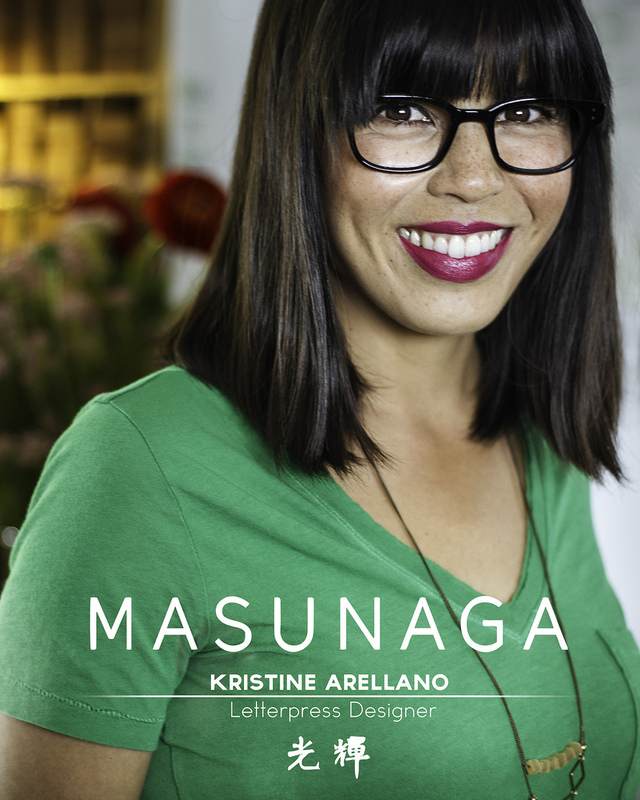 A few weeks ago I was asked to be a part of this special project hosted by Masunaga Optical, a Japanese optical company that has been creating eyewear since 1905. Yep, nineteen-o-five- before the Great Gatsby era, World War anything, but letterpress existed! At the time, I didn't know much about the project other than their request to film me letterpress printing and other artists being tapped to do the same. Sure. Why not? They came into my studio with a crew of folks, lights and lots of glasses for me to try on. I must've tried on 40 frames that day! While trying them on Ron was saying that each frame was still handled with care and filed by hand. Point being there's craftsmanship in eyewear that we take for granted. Now after seeing the fruit of the project weeks later, I'm thrilled to be a part of this elite group of artists. There are no "slouches" here! Beyond a video, I had a good friend of mine call me other day telling me " I know we're overdue to hang out, but why is there a huge poster of you hanging in a window on Sunset!?" I was ecstatic! I have yet to see it with my own eyes, but I'll have to take my mom and husband to see this poster! They'll be floored. Perhaps I can ask for the poster when they're done with it to give to my mom next Mother's Day? ha! Need some new glasses? Take advantage! They're giving away FREE glasses. Instagram a pic of you and your craft with the tag #WHATSYOURCRAFT. Thanks Masunaga + Dan Deutsch Optical + Davida + Penumbra Pictures + Justina!